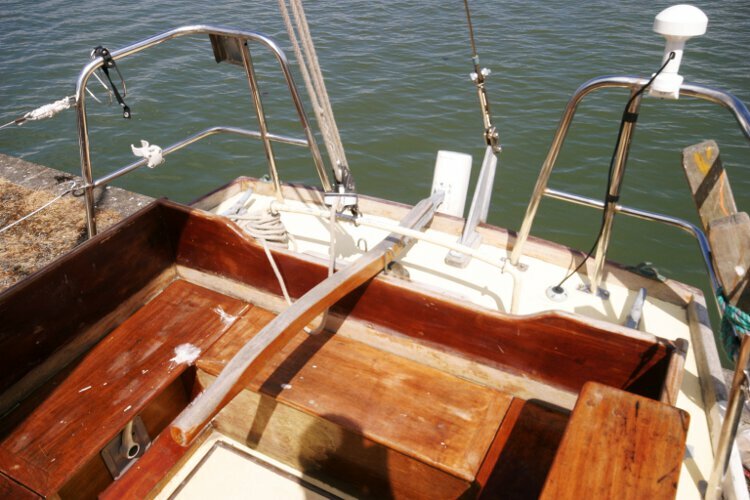 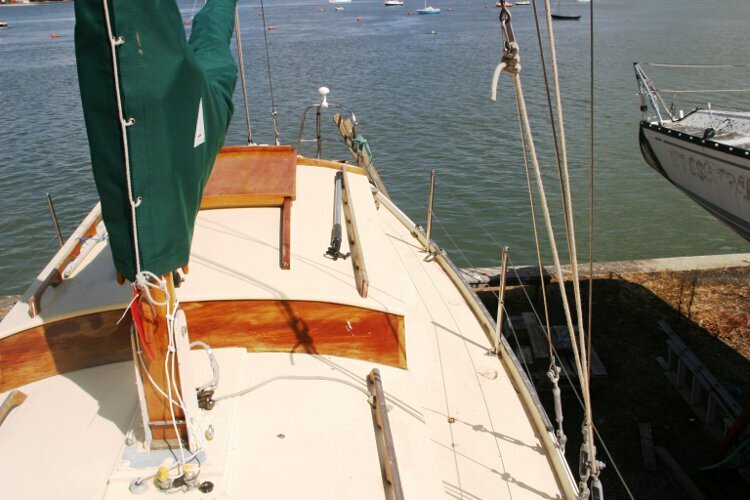 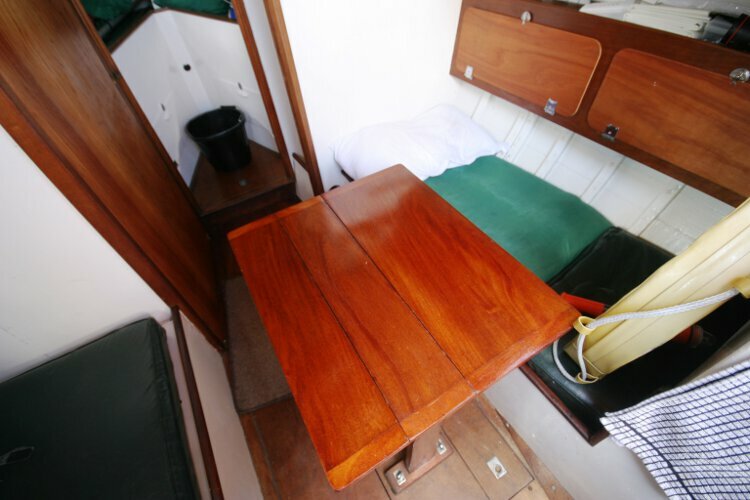 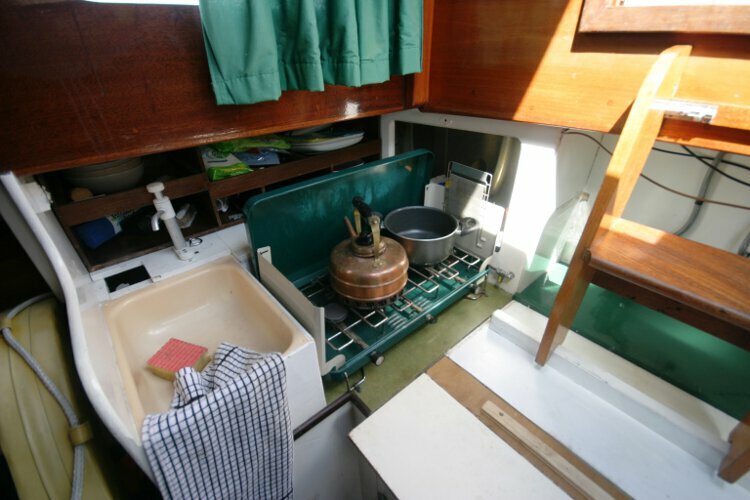 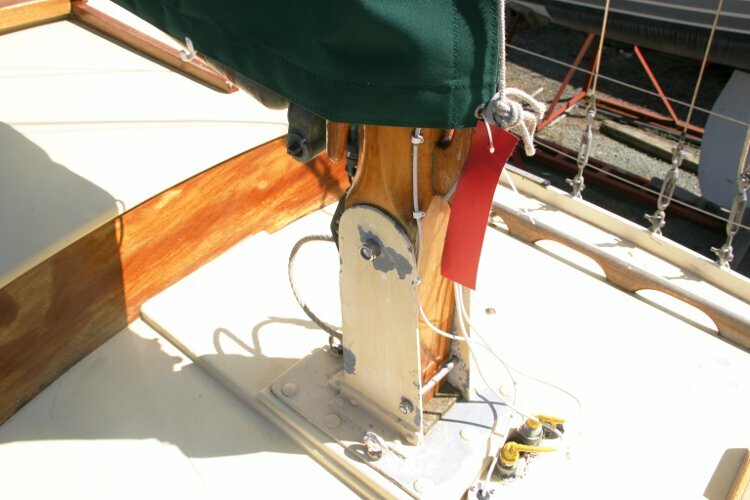 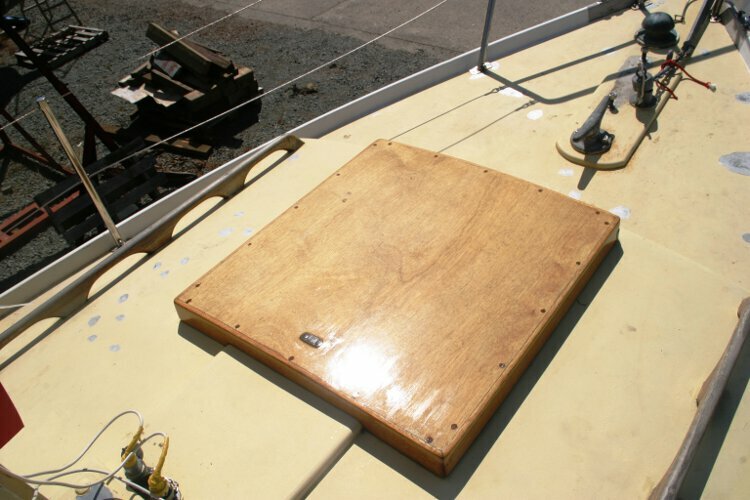 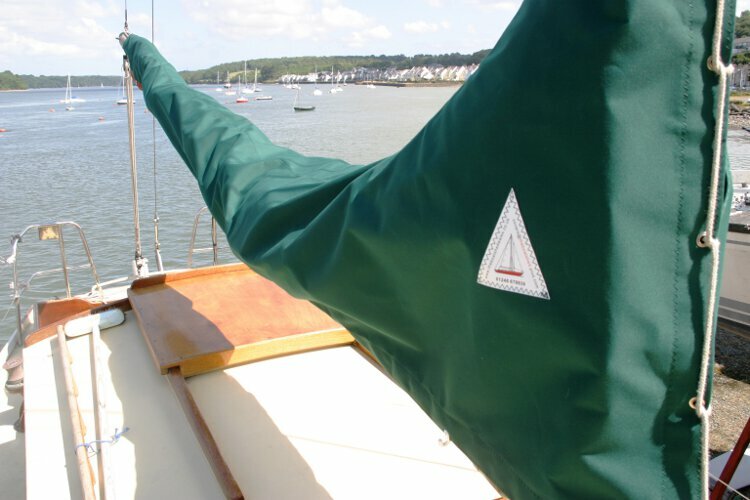 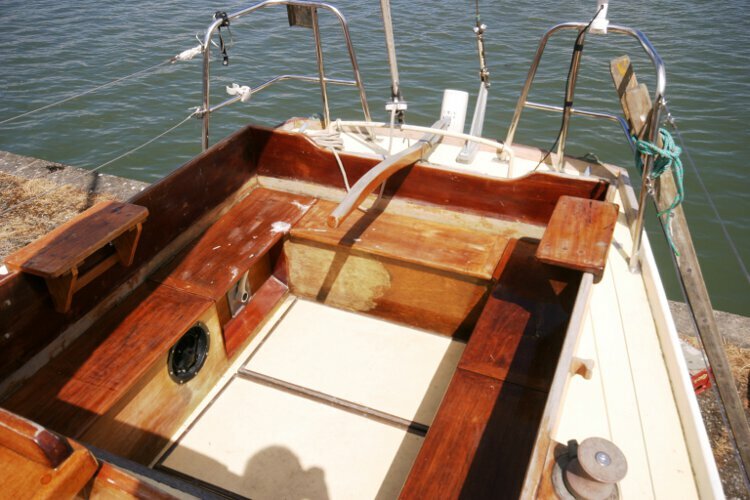 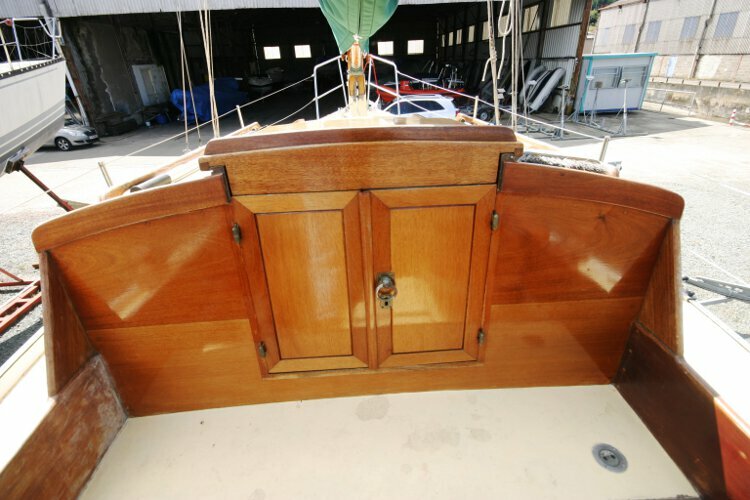 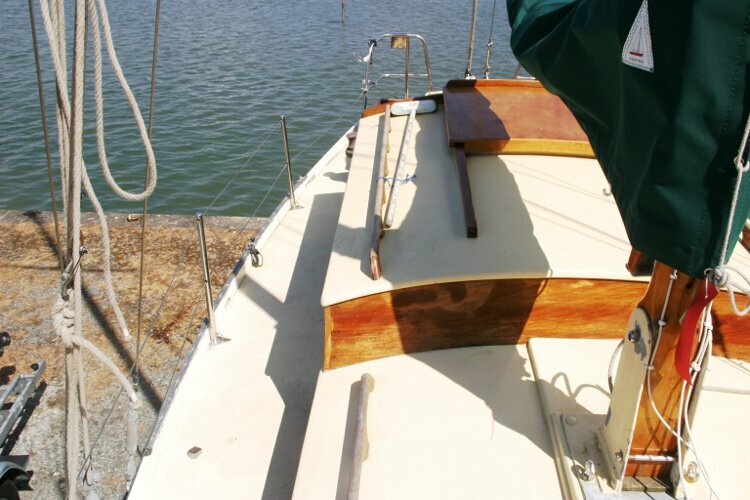 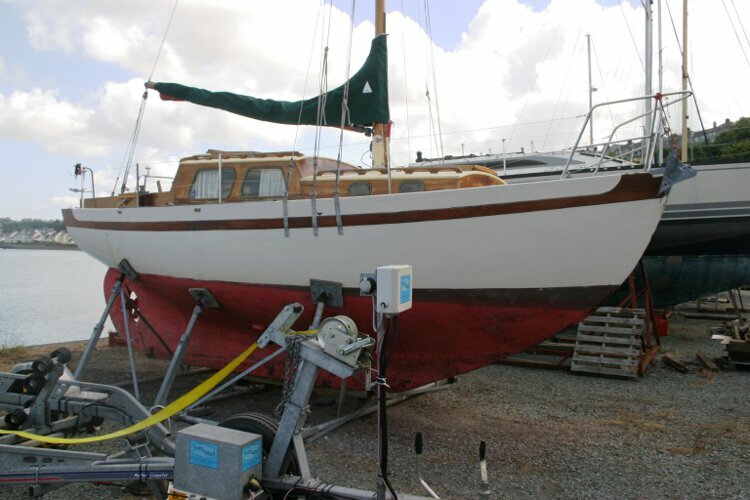 This wooden classic was built in 1960 by The Falmouth Boat construction company. 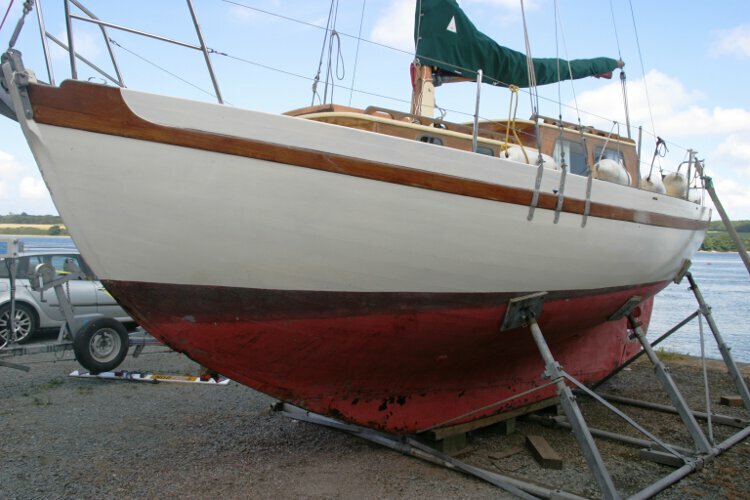 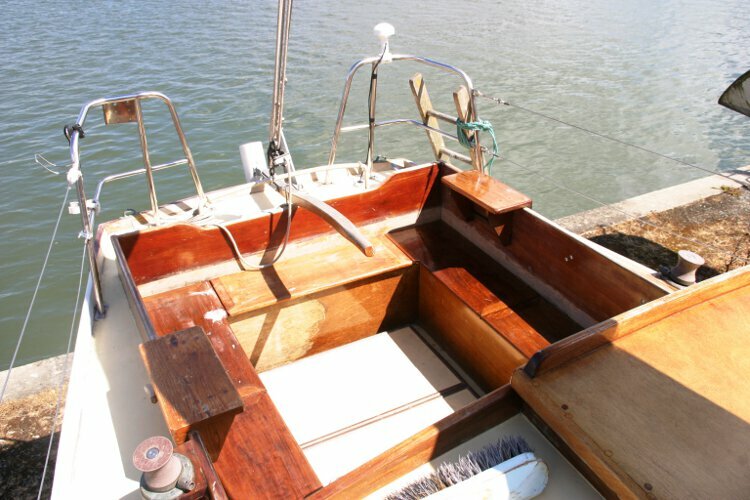 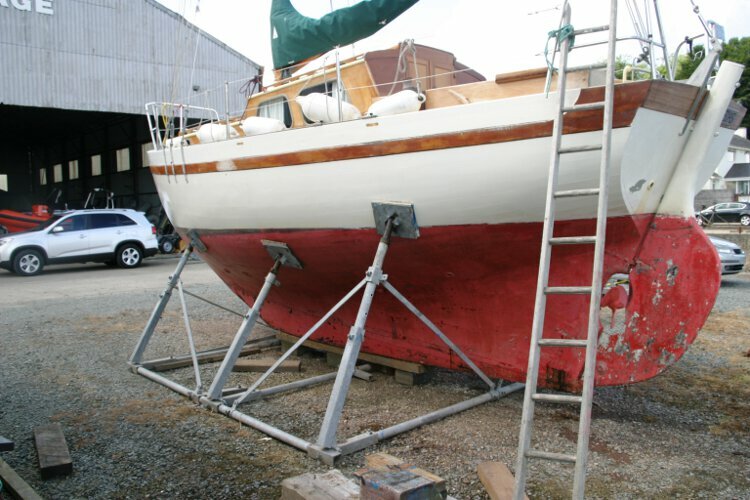 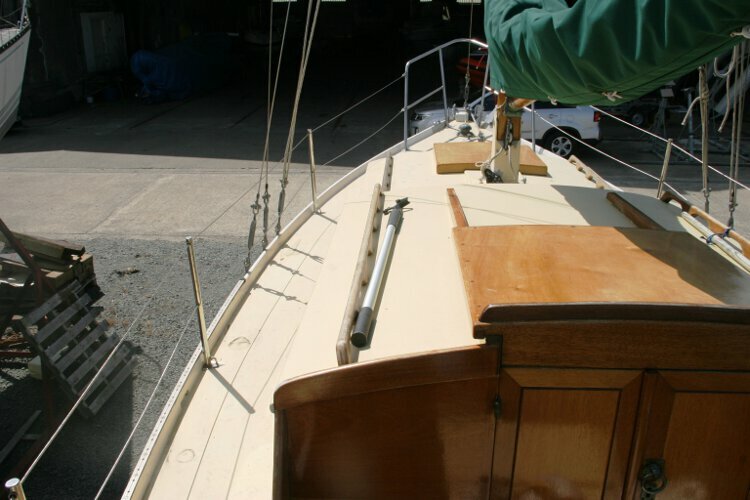 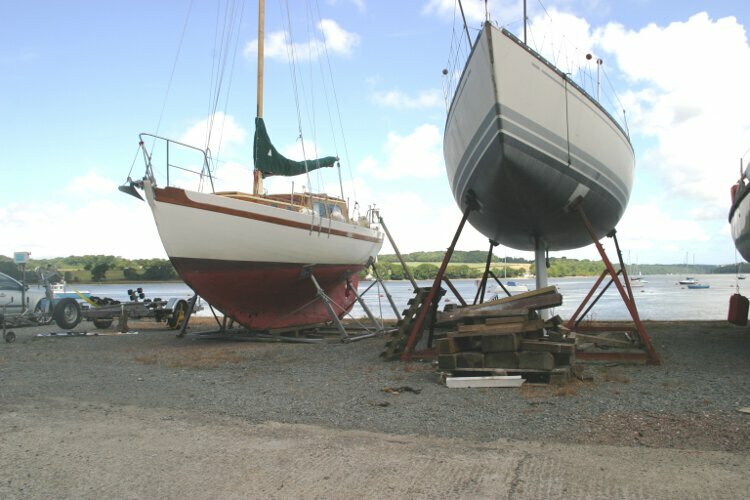 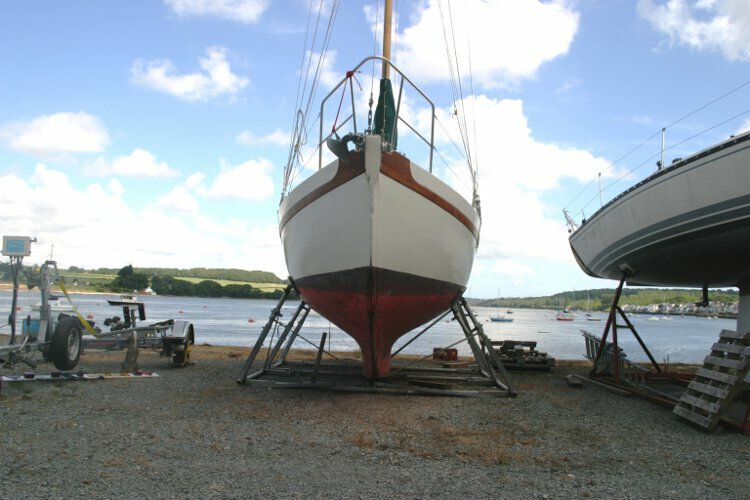 Currently stored ashore in North Wales, Deedas looks like a classic little wooden sloop should look.She is a must see for wooden boat enthusiasts. 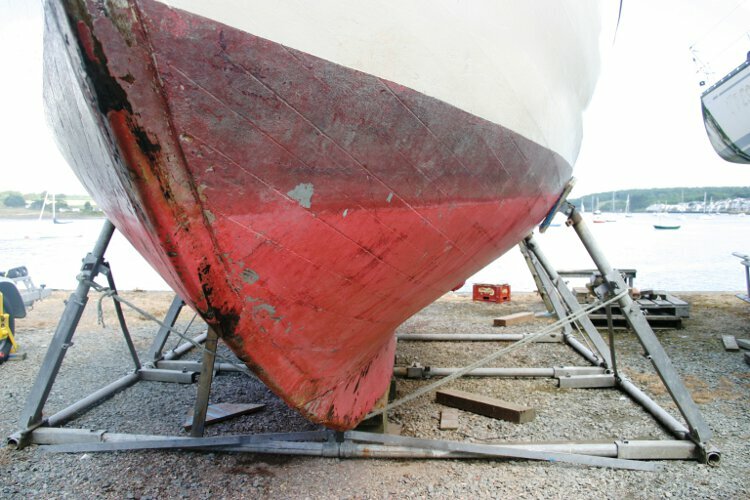 tan sails and she has a stout pair of beaching legs which will allow her to take the ground safely. 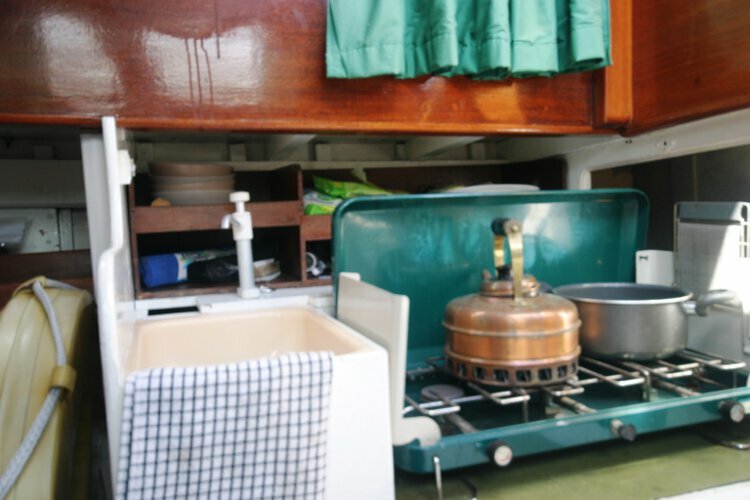 She comes with lots of provenance including the original blue book. 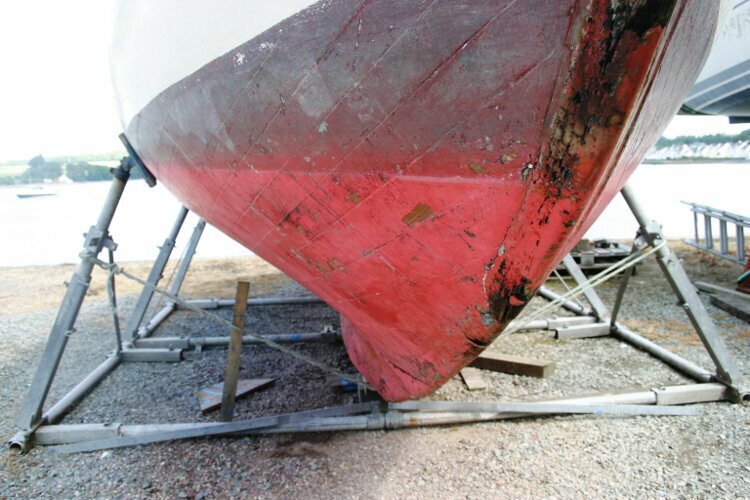 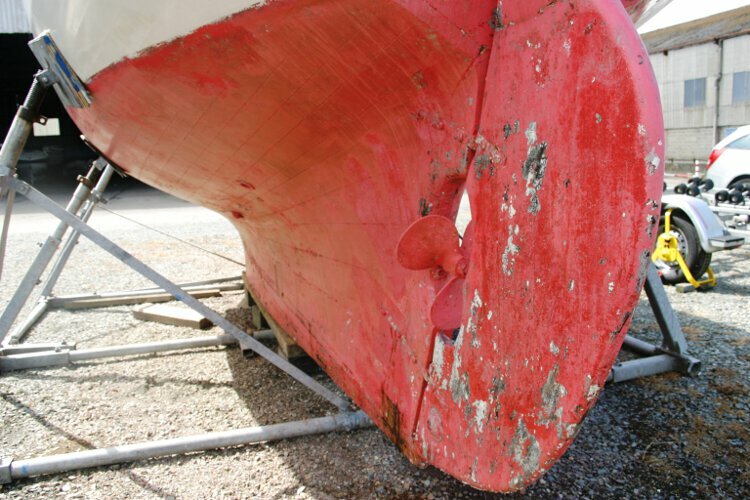 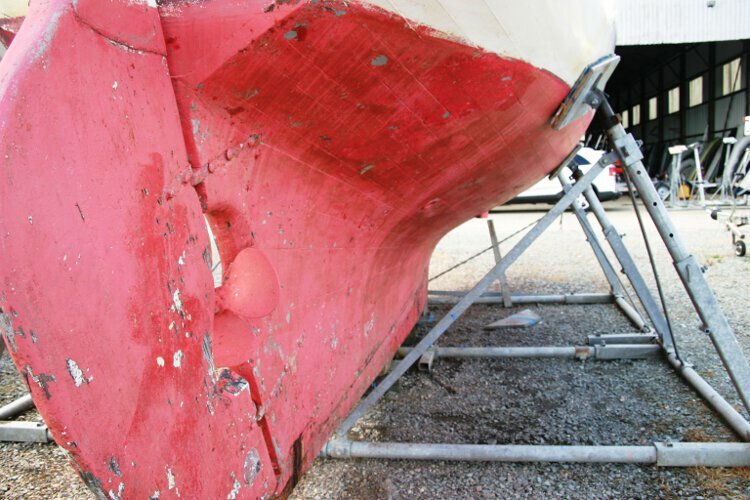 A copy of her most recent (2010) survey is available for serious enquirers.The survey is a good one however a small repair to the fore foot is required. 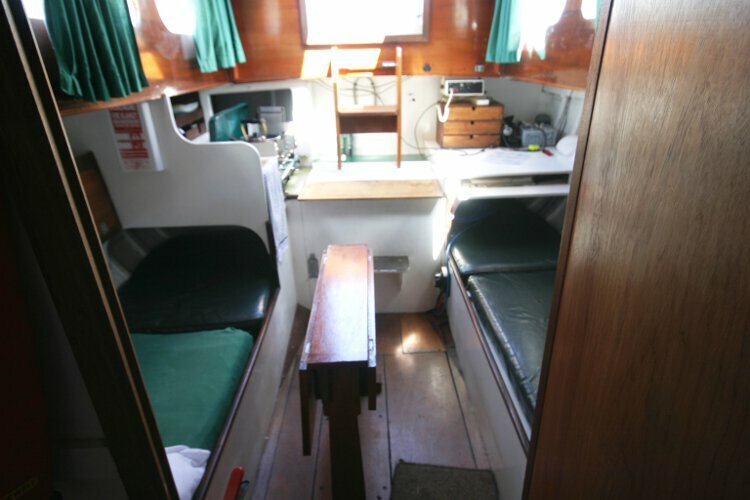 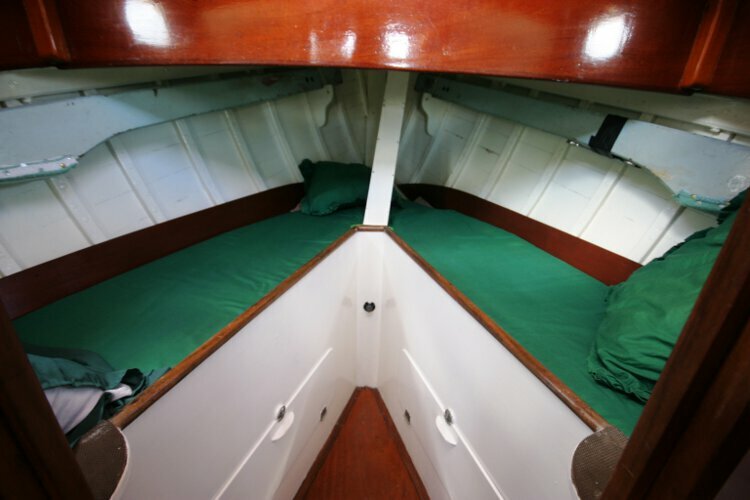 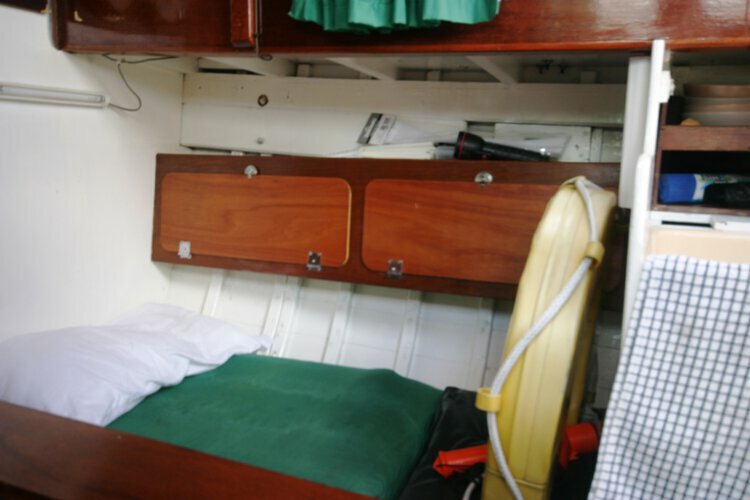 A total of four berths in two cabins. 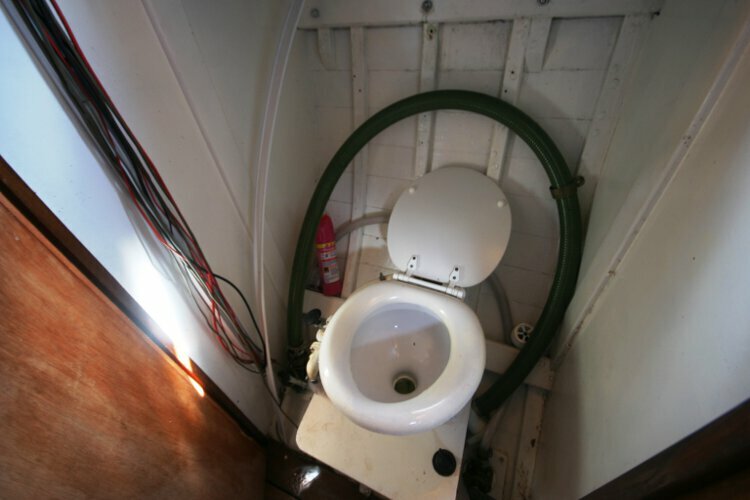 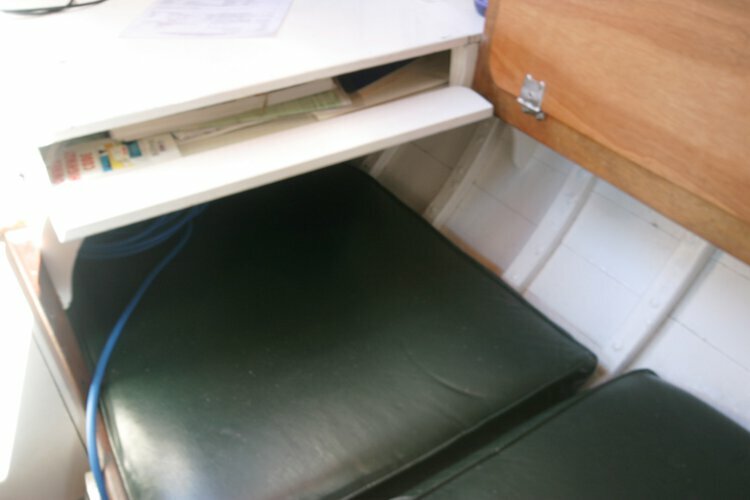 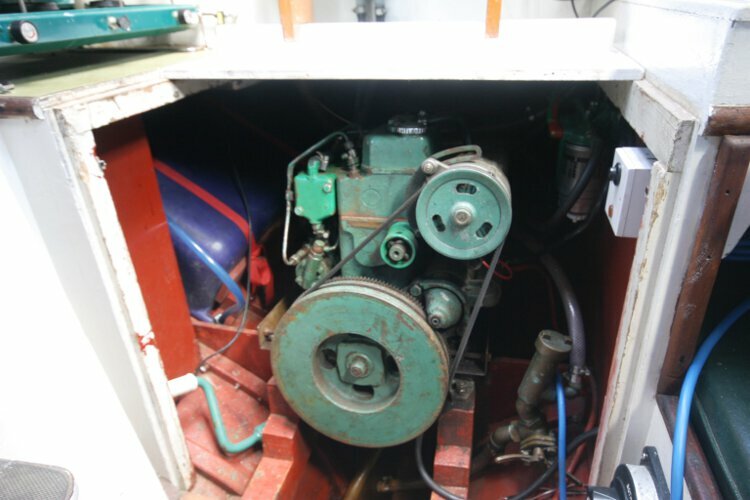 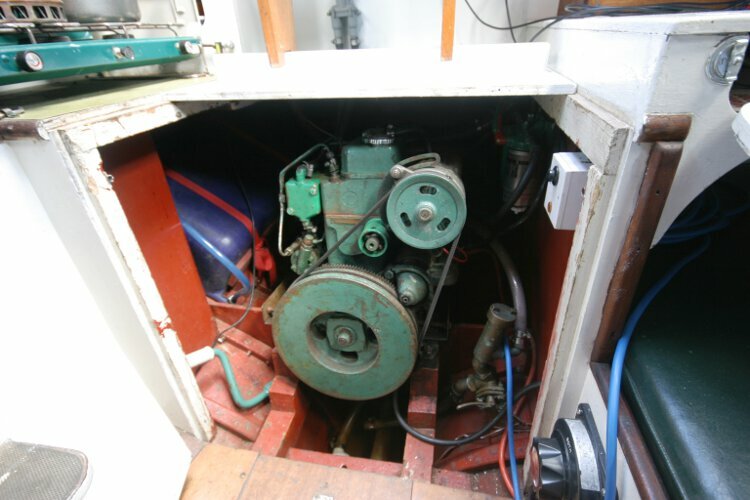 There is a separate heads compartment equipped with a marine toilet. 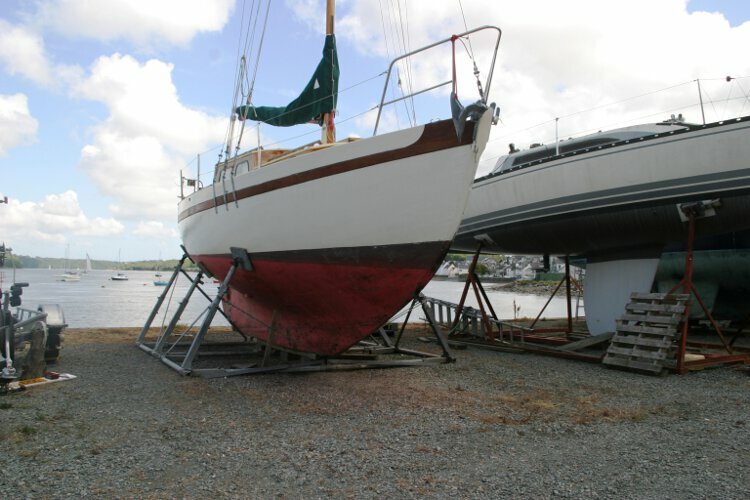 Spinakker and no 1 jib. 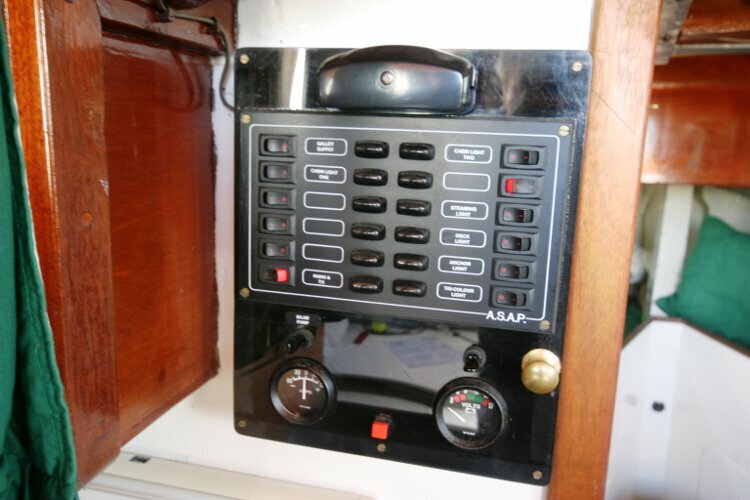 Navico VHF, Garmin GPS, Nasa target 2 combined speed and distance, depth sounder and wind speed direction. 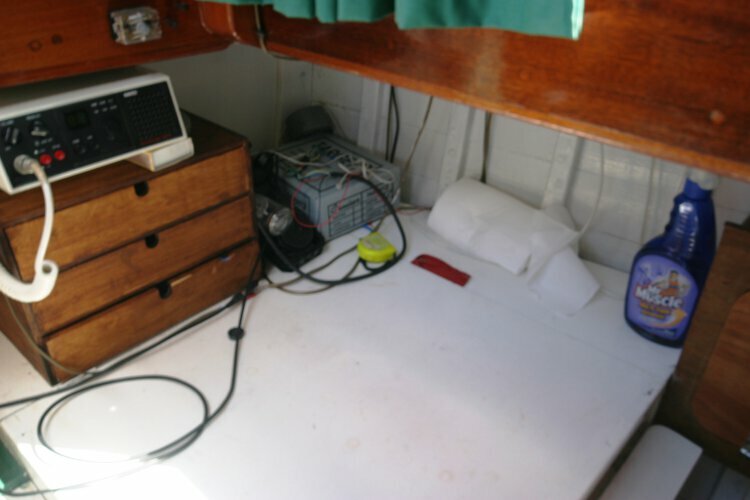 Compass. 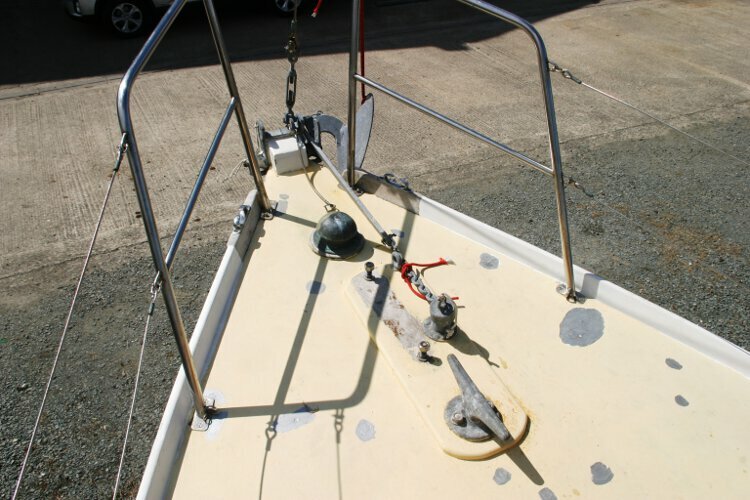 2x12v batteries, Shore power lead. 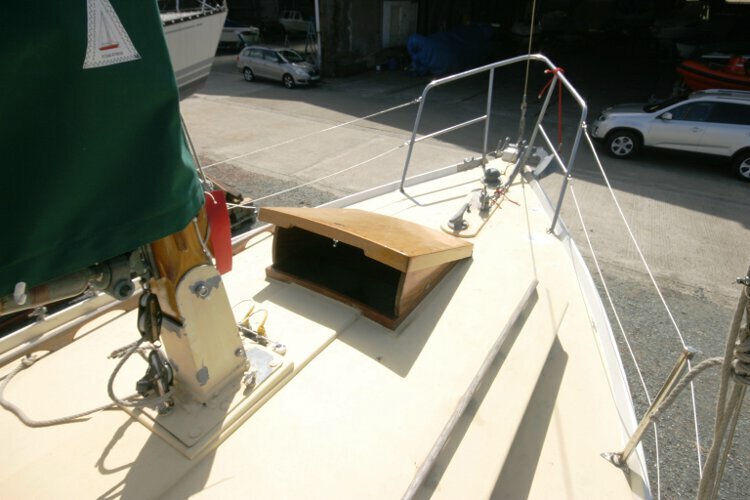 New tender(Wav eco?) 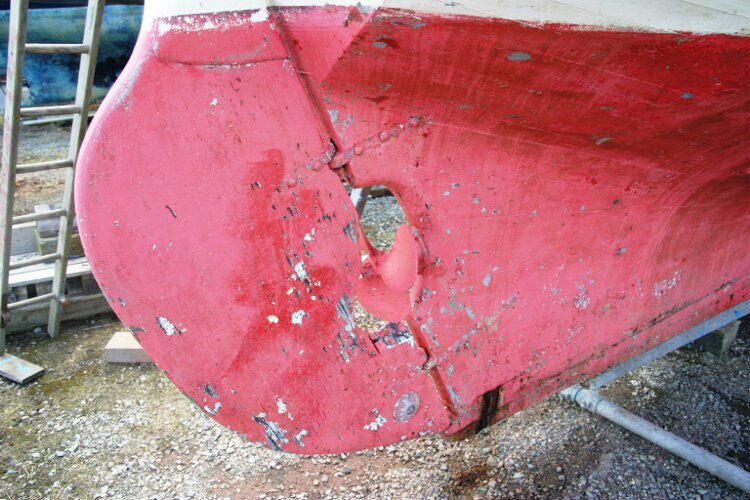 never used, Mercury outboard motor, warps and fenders, CQR anchor and chain, Boat hook, 2xgas bottles, Sail cover(new), dodgers. 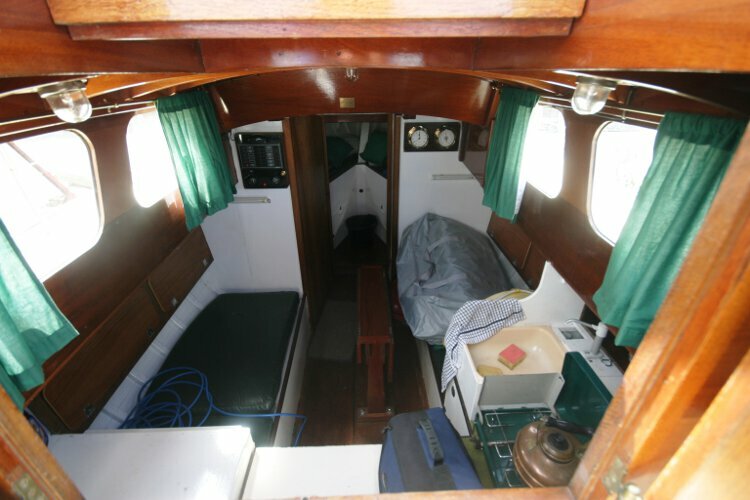 2x Fire extinguishers, Whisker pole, Fire blanket, 2xBeaching legs. 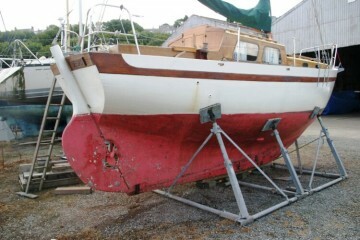 This boat is no longer for sale and remains here solely as an information resource for those researching Falmouth Pilot's.